En Riviera Nayarit luxury is our magic, and every day this is recognized for more people in Mexico, according to a survey made by the Convention and Visitors Bureau of Riviera Nayarit. The survey was collected online with over 1,000 samples from all over Mexico, of people that had a vacation in Mexico within the last 12 months. It was distributed through the different regions in Mexico proportionally, and to people with a socioeconomic level A/B and C+, with an error margin of 4%. The results show that 83% of the people recognize the Riviera Nayarit brand. These results are encouraging and reveal a continuous increase in brand positioning, as the same question was answered positively by only 47% of responders in 2009 and by 70% in 2010. In other words, brand recognition grew 36% between 2009 and 2012. The study also reveals an important area of ​​opportunity to increase the influx of tourists to Mexico’s Pacific Treasure. 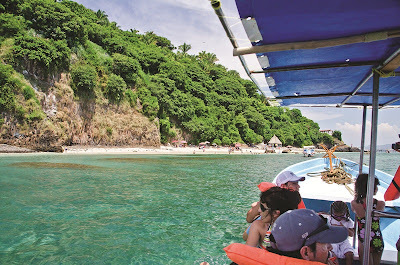 While 83% of all national tourists recognized Riviera Nayarit, 86% said they probably or definitely consider traveling here. The results of this survey certainly represent a positive balance for the promotional work being carried out by the CVB of Riviera Nayarit, who is convinced that boosting tourism is an economic catalyst for the entity, which will result in benefits for Everyone.